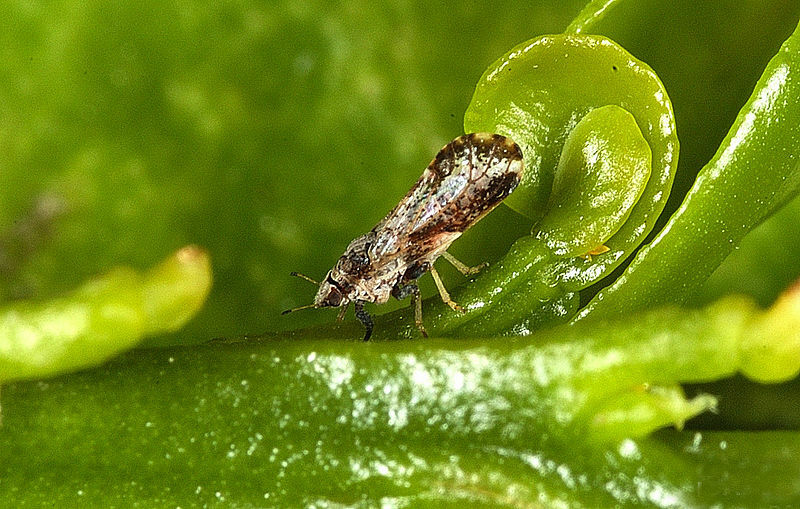 The Asian Citrus Psyllid is an insect known for feeding on leaves and stems of citrus trees. Adult Citrus Psyllids are very small, between 2-4 mm, and brown. Pregnant females and juveniles are yellowish orange, and juveniles have bright red eyes. The Asian Citrus Psyllid was first found in the United States on the eastern coast of Florida in 1998 and quickly spread throughout the state. It is suspected the insects traveled on imported plants. Asian Citrus Psyllid effects citrus plants in all life stages as juveniles eat new growth and adults feed on the underside of leaves. Juveniles can cause new leaves to grow deformed or stop their growth altogether, an affect that is extremely detrimental to new growth, often killing the plants before they can stabilize. Adult Citrus Psyllid are no less destructive. They produce a sticky honeydew as they feed, which causes the leaves to mold, a condition called Huanglongbing (HLB) or citrus greening disease. Citrus Psyllid are the only natural carrier for this infection. 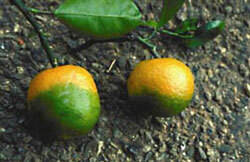 HLB is always fatal to citrus plants. The plant will begin producing hard, bitter, and misshapen fruit. It takes about five years for the plants to lose value as fruit bearing trees. Sprays and insecticidal soaps are effective against Asian Citrus Psyllids, however, since the effects are short lived the process must be repeated often. The most effective method of protecting citrus trees from this infestation is preventing spread. Citrus trees should be checked often for this insect and infestations should be reported immediately. This entry was posted in Pesticide and tagged Asian Citrus Psyllid, Mississippi Pesticide.